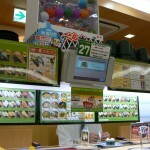 This continues my series of articles about Japan. I do these randomly if I see something worth mentioning. 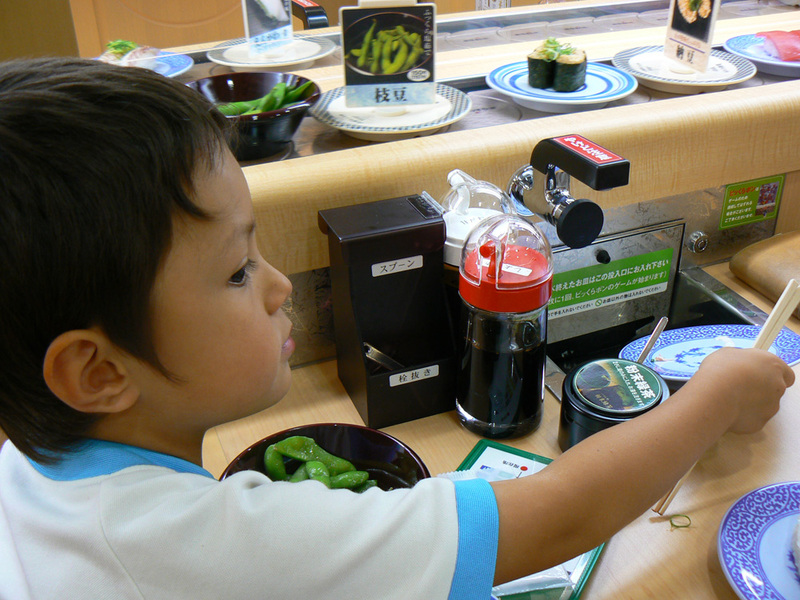 It’s not the first sushi place I’ve seen where each table has a digital screen that lets you order food – but it adds something interesting to the mix which will drive your kids insane! 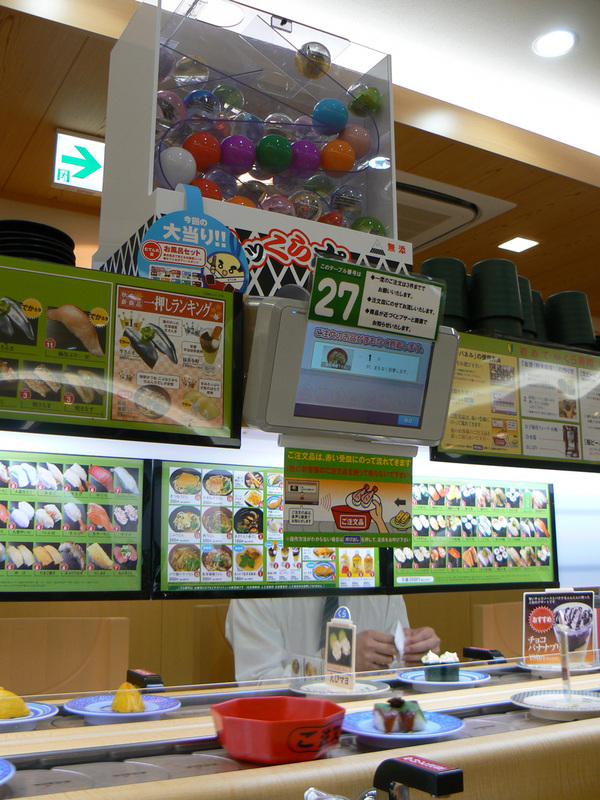 Each table has a sort of slot machine game where you can win little toys in plastic bobbles called gachapon – instead of using money, the currency is empty plates. 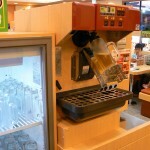 Movie of this happening here. 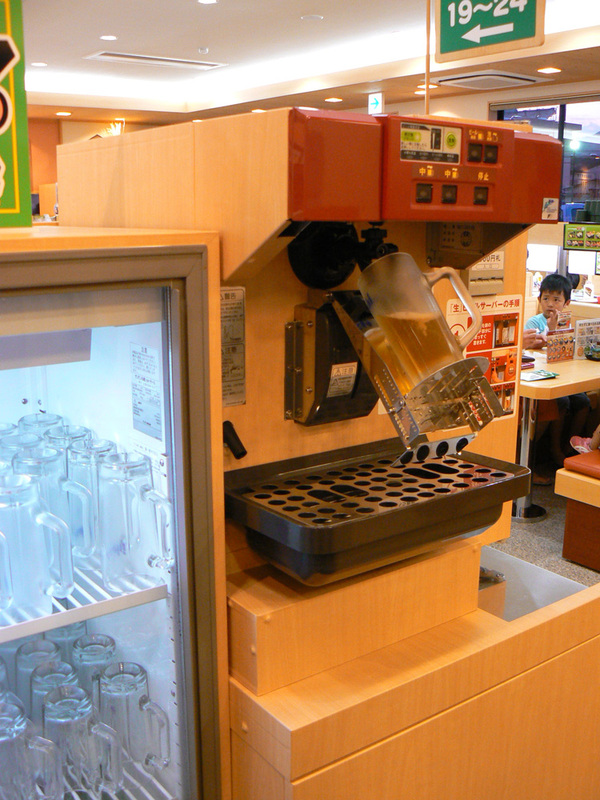 It has a machine that can pour you a mug of beer, do you really need more than that? 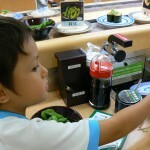 This entry was posted in Japan, Life on September 18, 2009 by Seth.